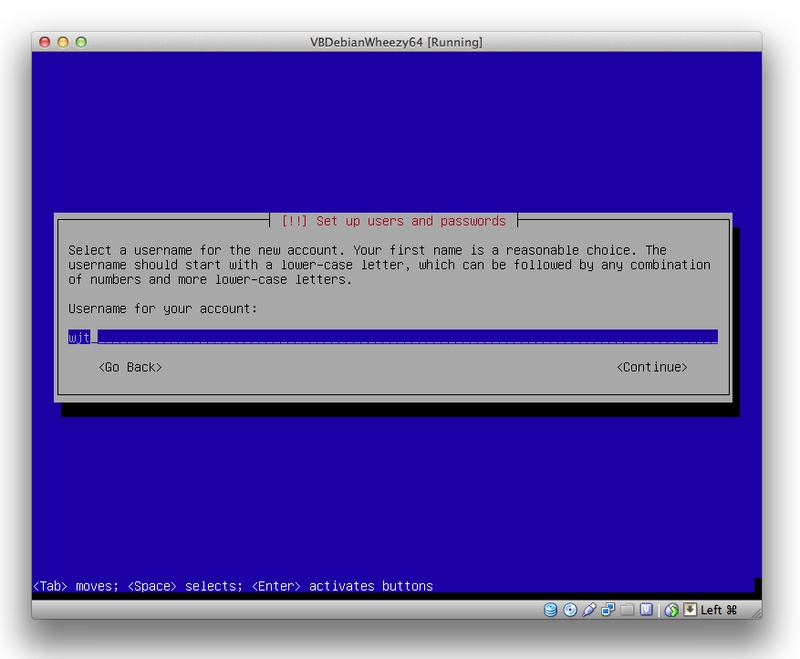 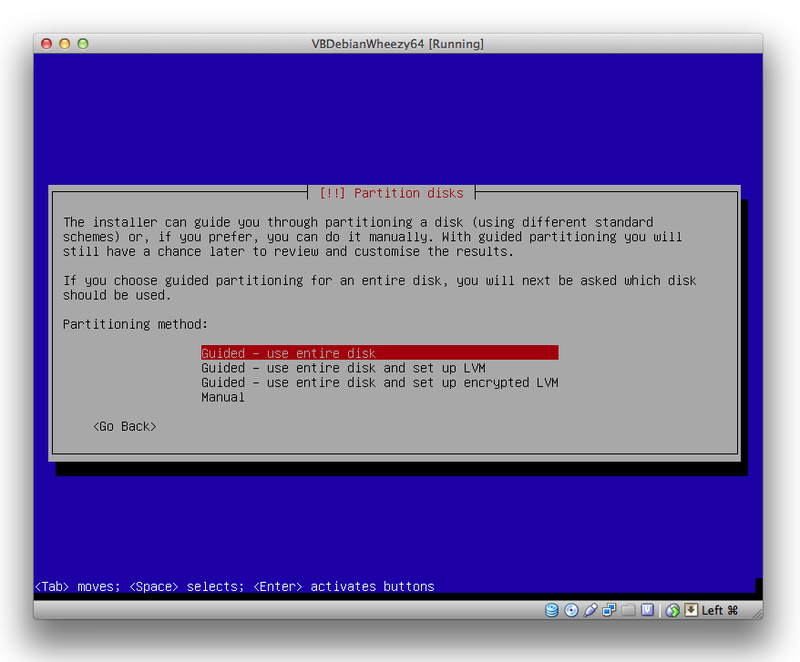 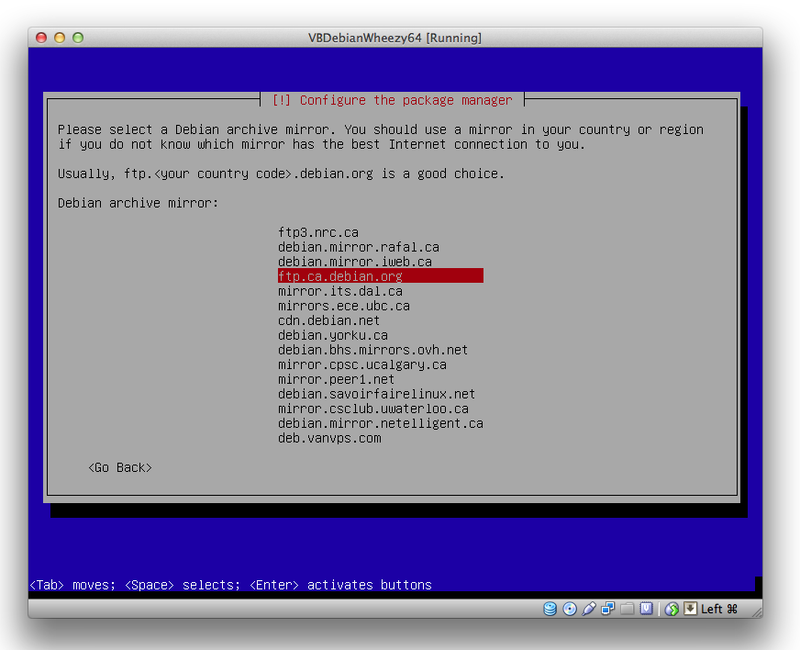 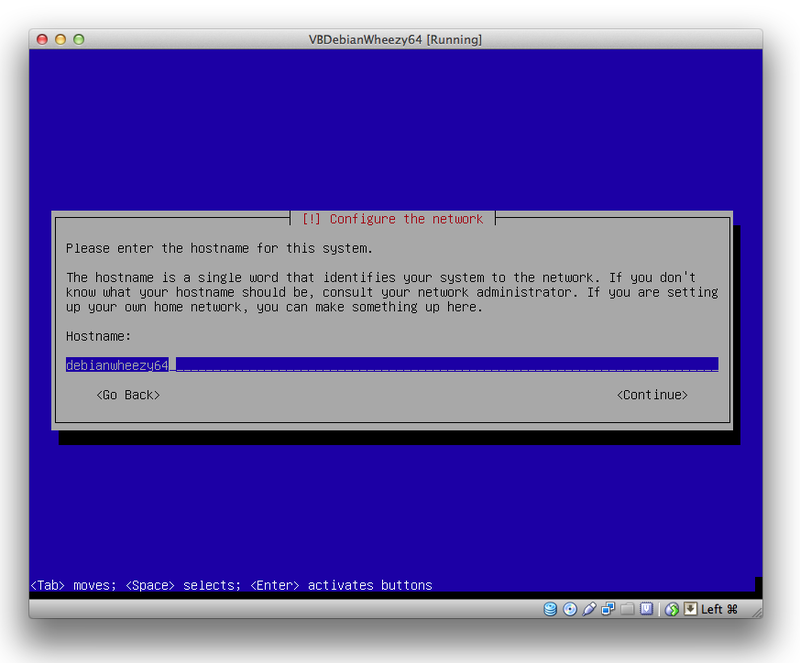 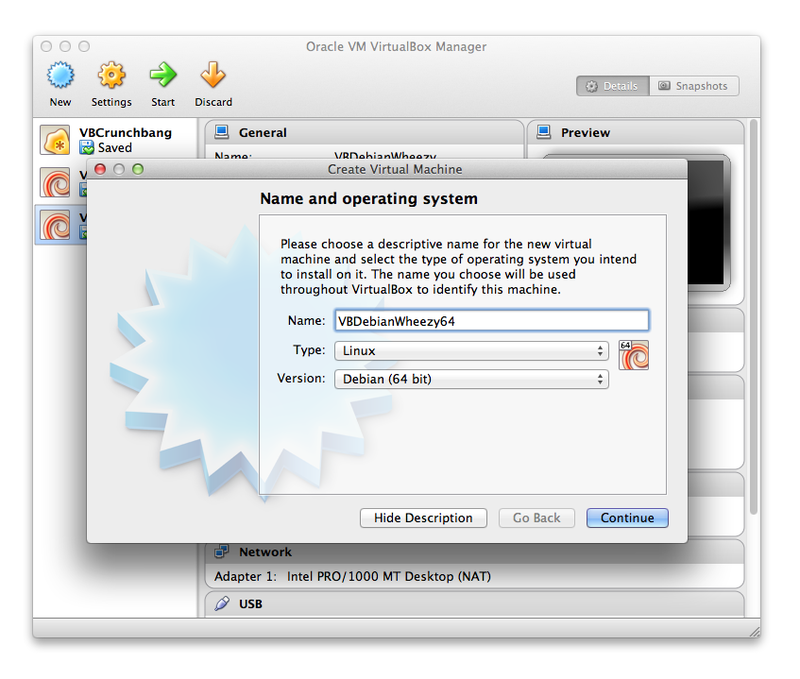 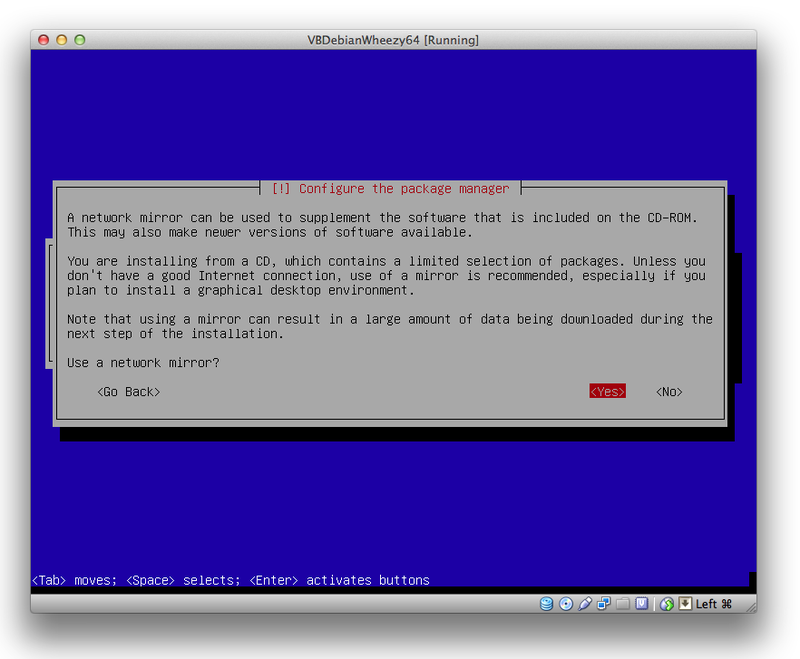 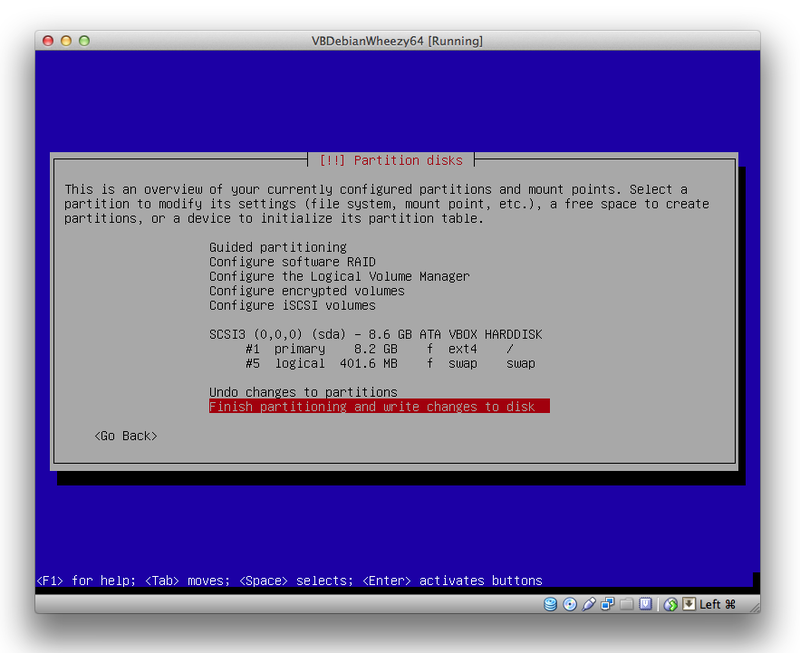 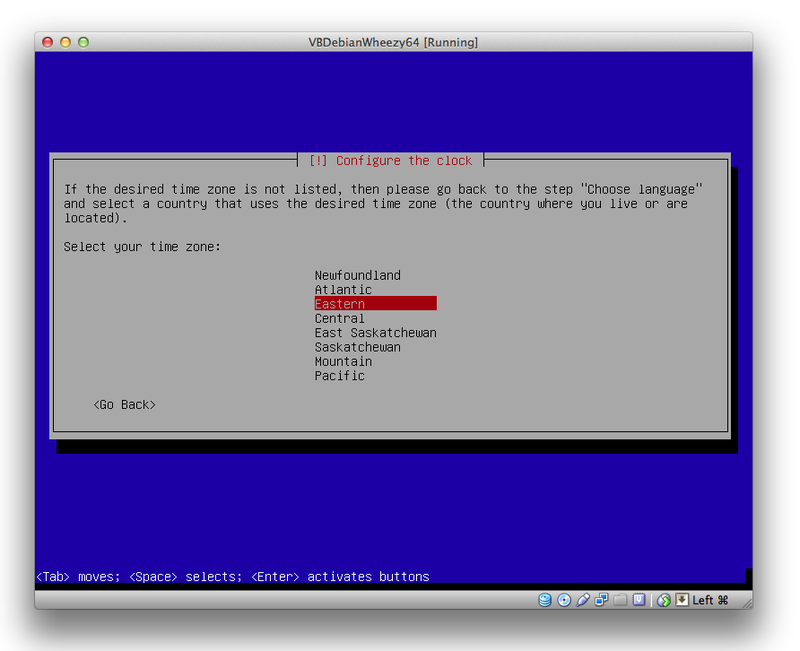 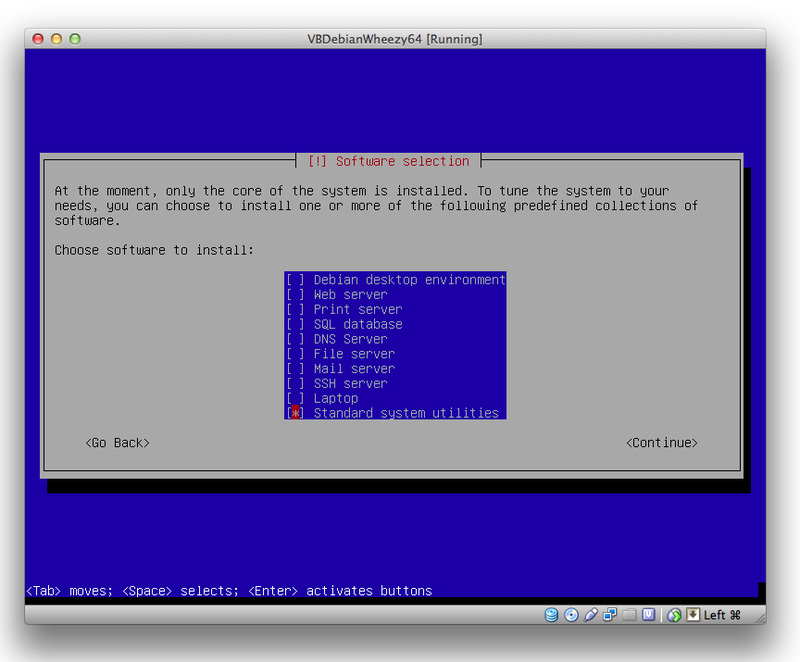 In this post I show how to create a stripped-down Debian Linux virtual machine inside VirtualBox. 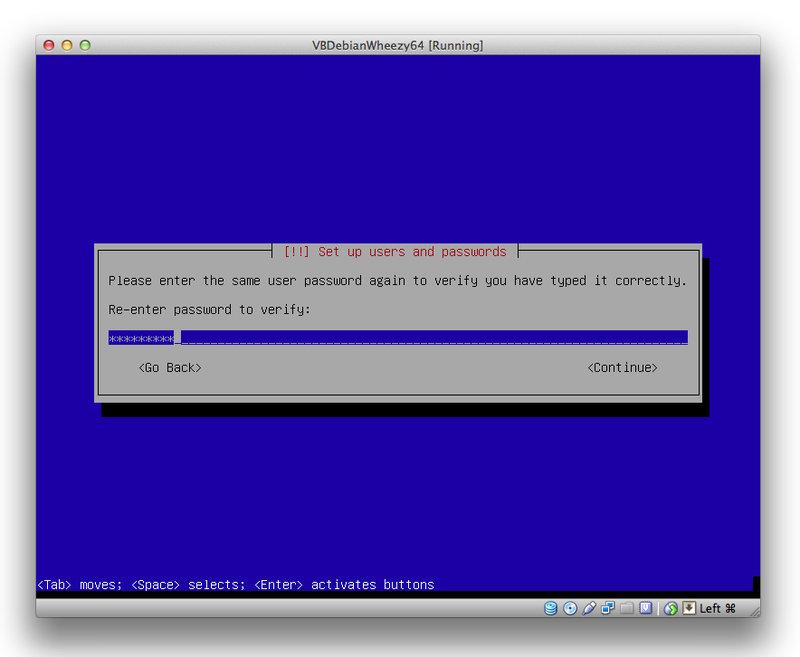 It does not have a GUI desktop installed, so you have to interact with it through commands entered in a shell (you can add your own GUI later, if you’d like). 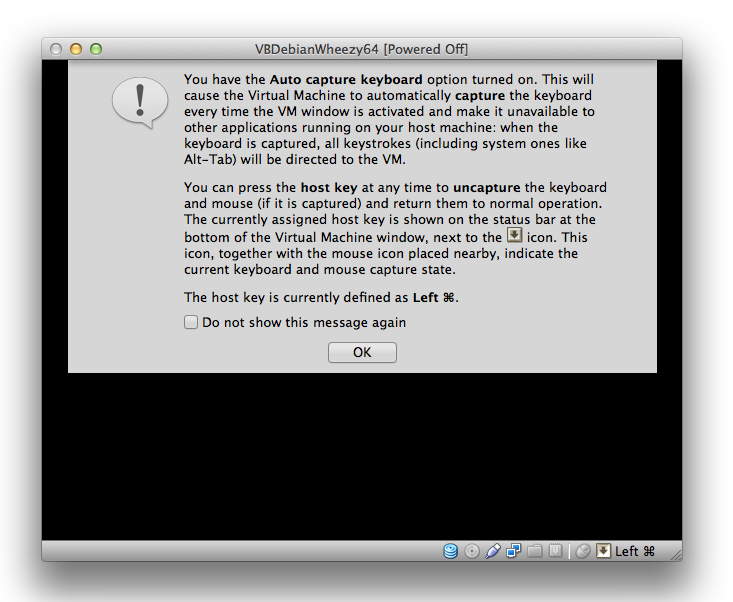 The screenshots come from a Mac, but the install process should be basically the same for a Windows PC. 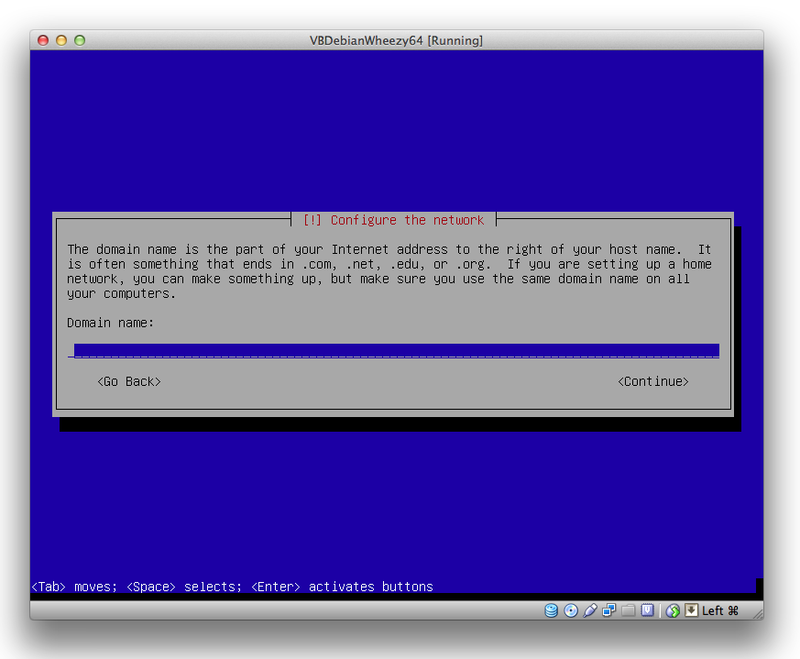 To get started, you need to download two things. 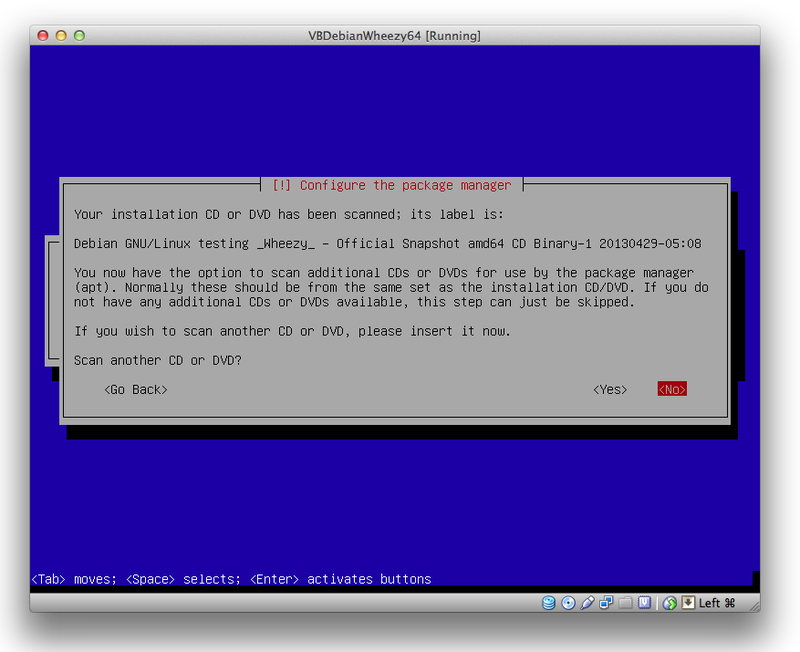 The first of these is a disk image file (ISO) for the version of Linux you want to install. 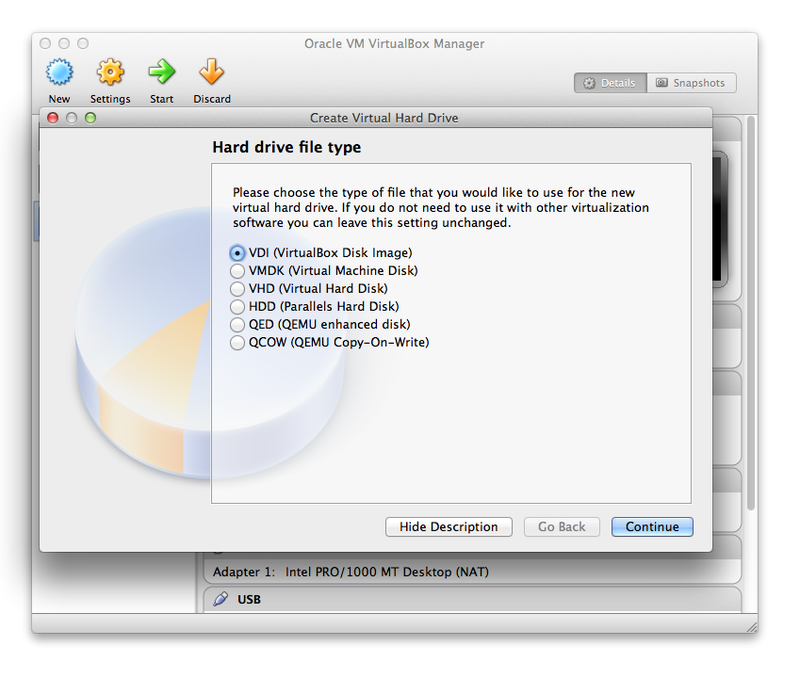 These files are different depending on the processor in your computer. 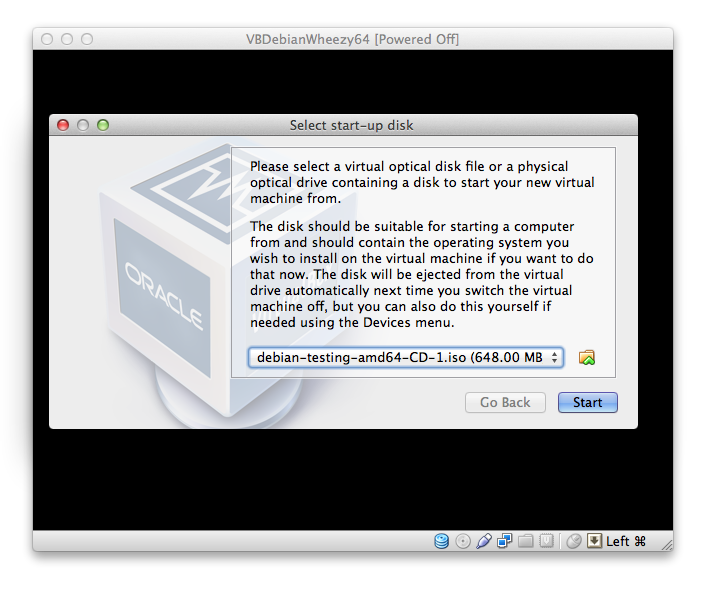 For a recent Windows or Mac desktop (i.e., a 64-bit Intel machine), the file that you probably want is debian-testing-amd64-CD-1.iso. 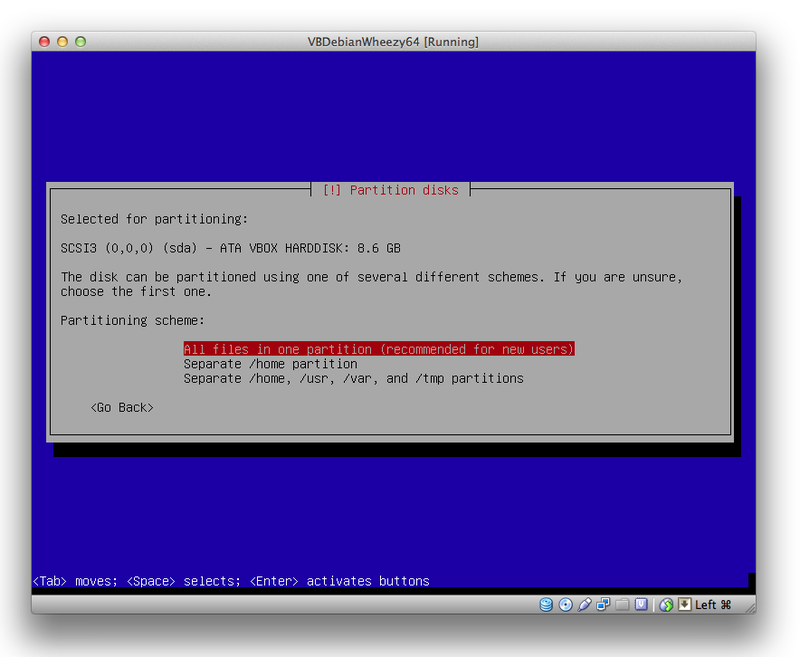 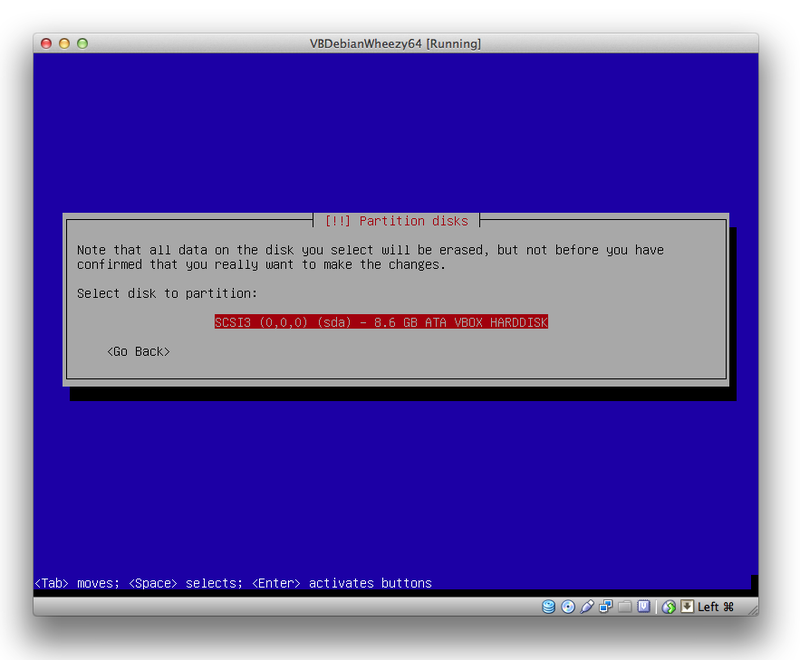 For older machines, you may need a different disk image. 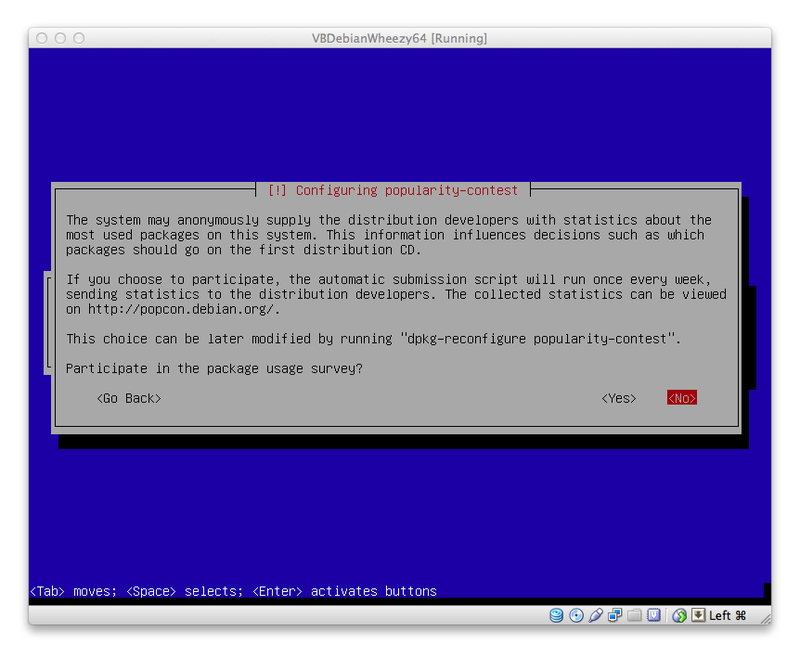 Check the Debian distribution page for more details. 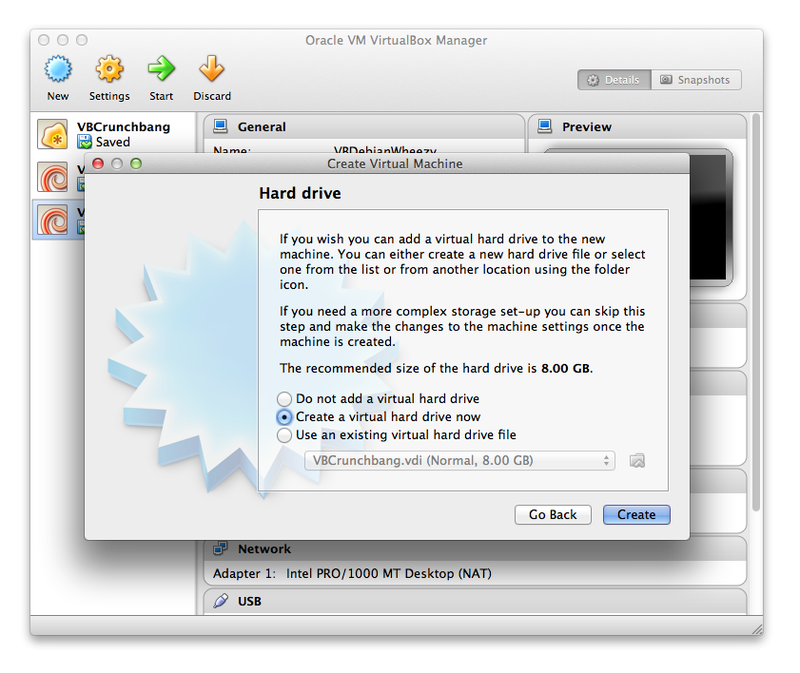 The other thing that you need to download is the Oracle VirtualBox software for your operating system. 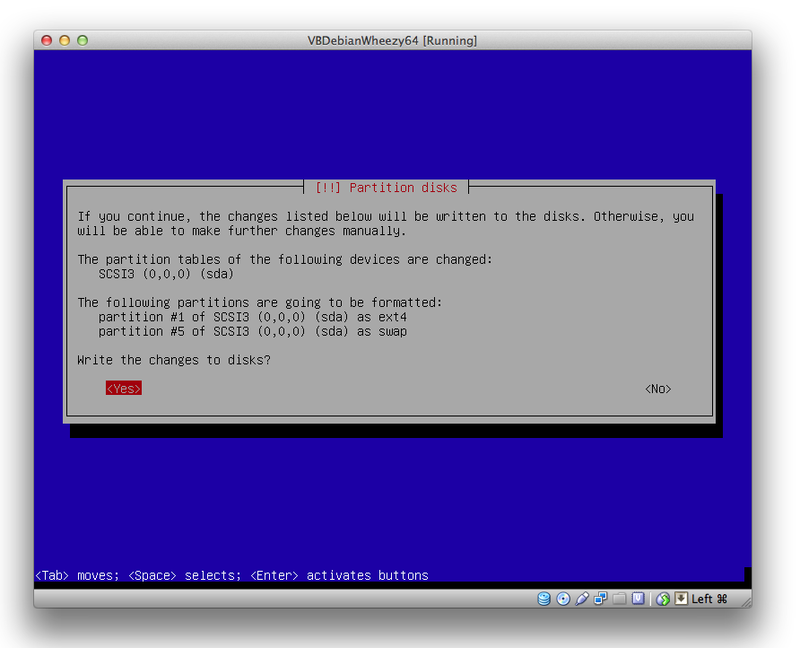 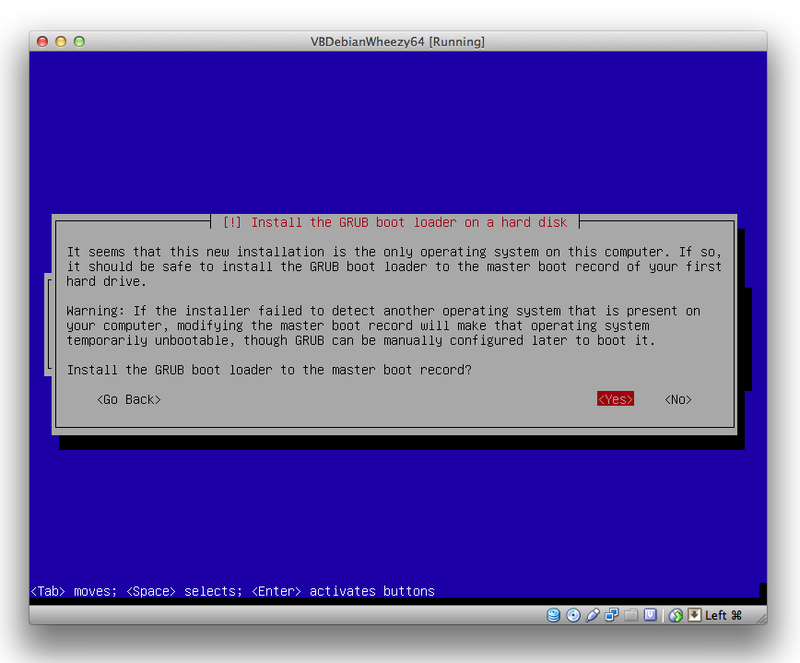 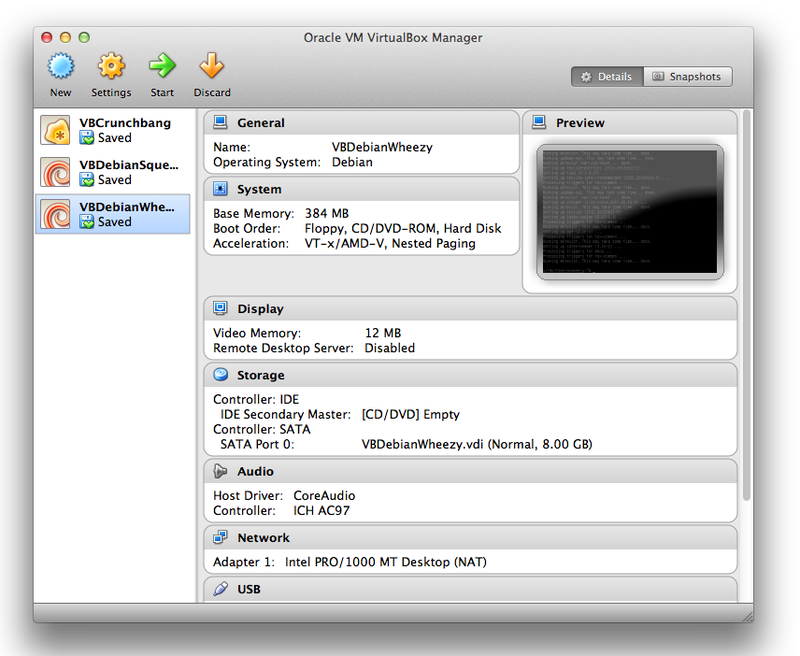 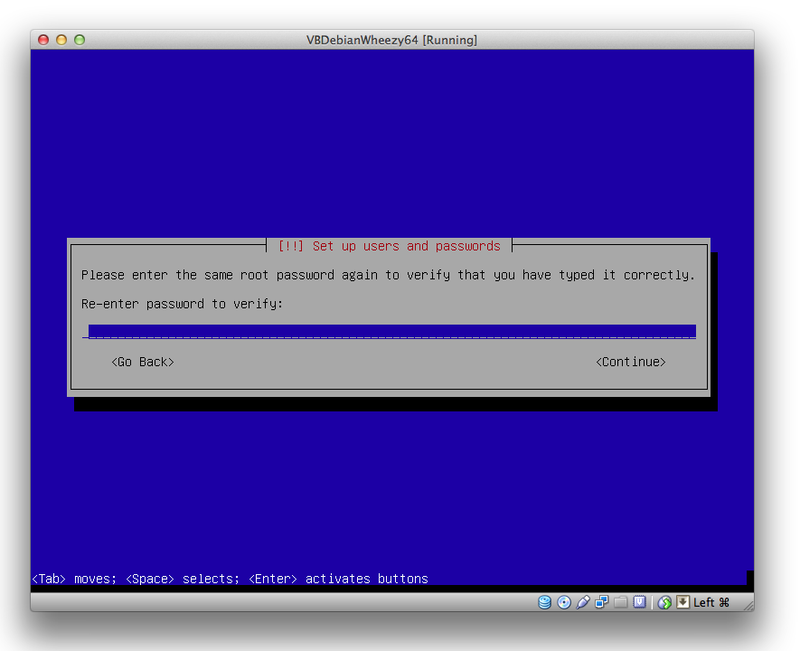 Once you have downloaded VirtualBox, install it and then start it. 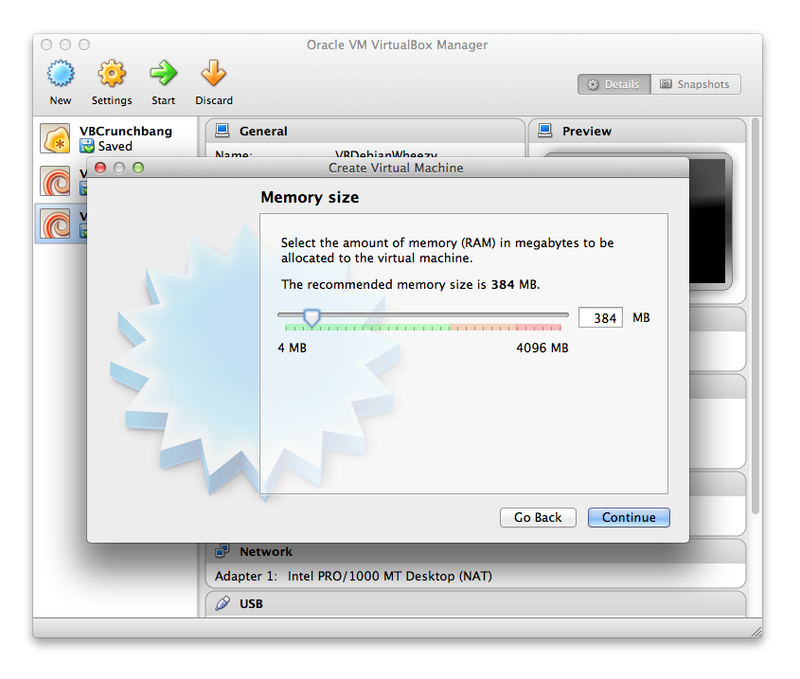 To create a new virtual machine, click the “New” button in the upper left hand corner of the Manager. 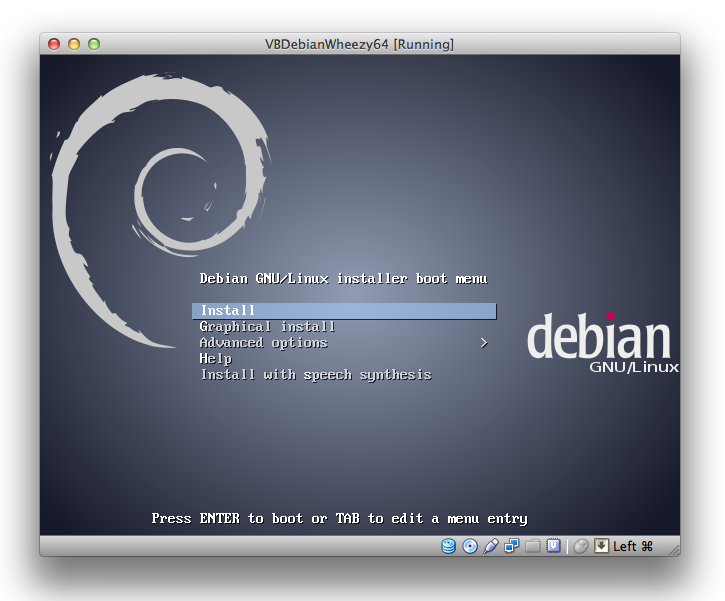 Debian Linux comes in three standard flavours, known as “stable,” which is very solid but not very up-to-date, “testing,” which is pretty solid and reasonably up-to-date, and “unstable,” which is just that. 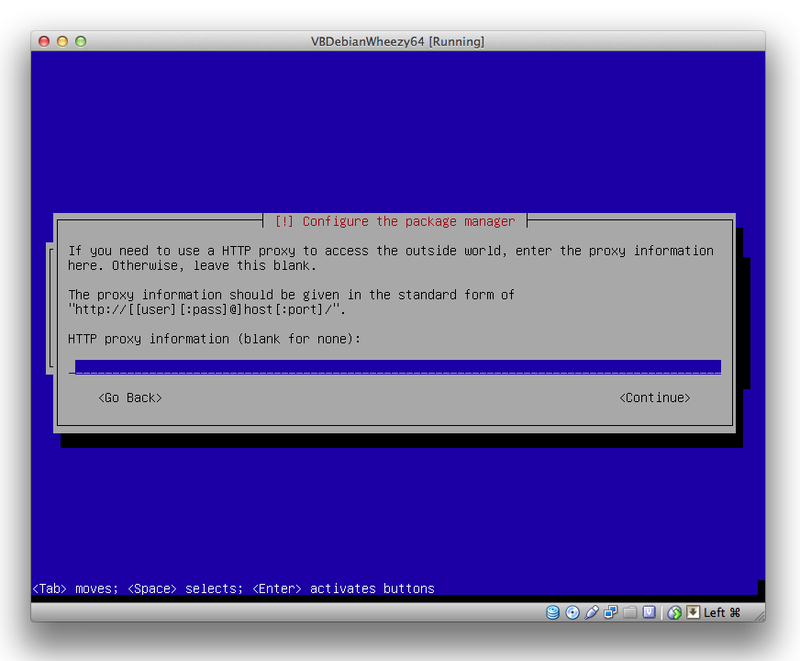 The current code name for the testing version is “Wheezy”. 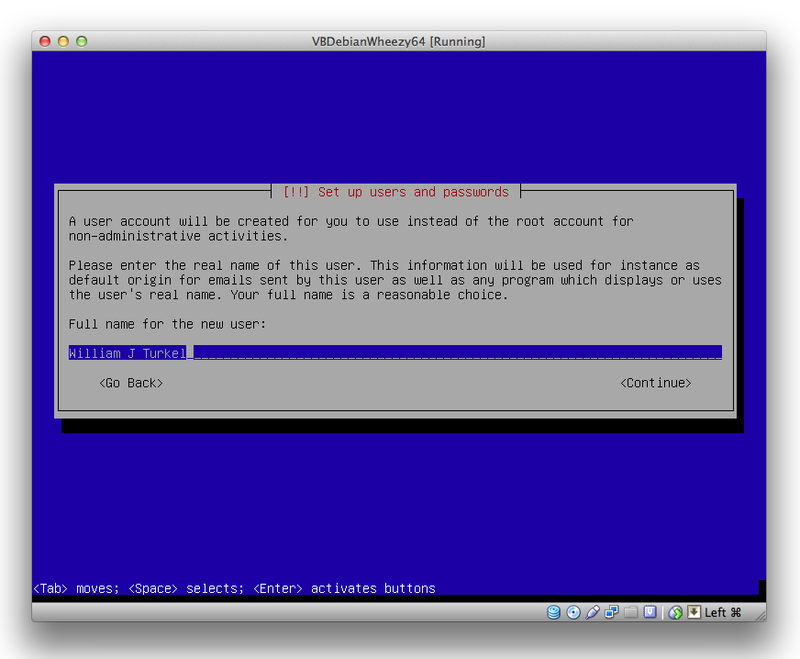 I like to name each of my virtual machines so I know what version of the operating system I am using. 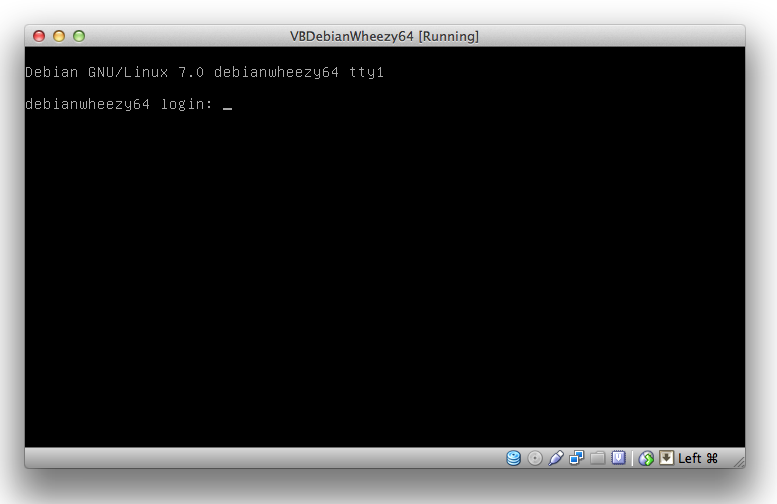 I’m going to call this one “VBDebianWheezy64.” You can call yours whatever you’d like. 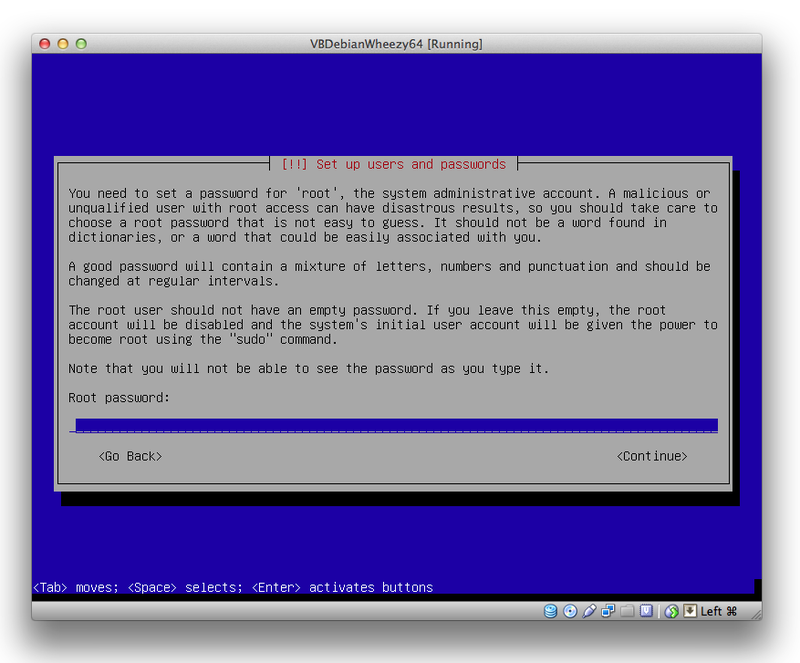 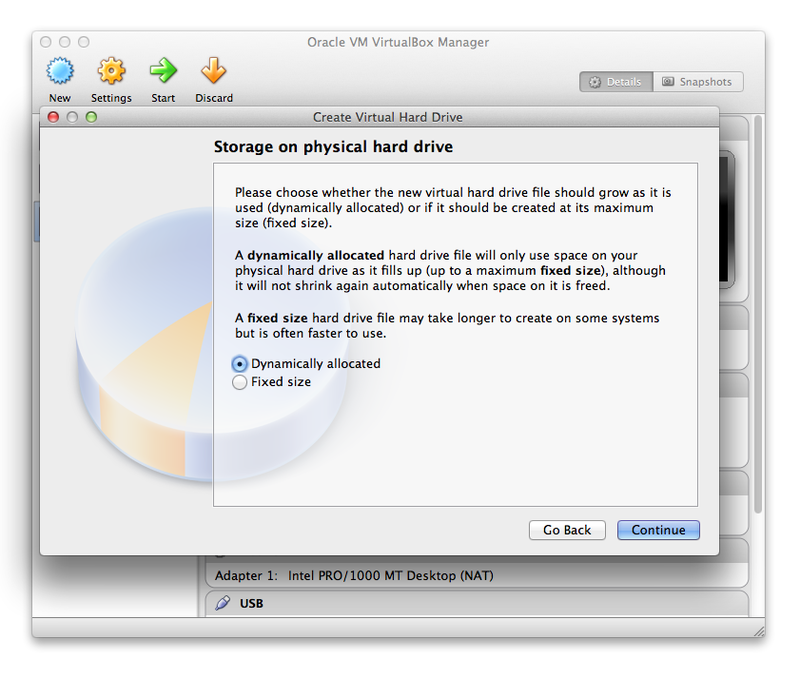 Once you click “Continue,” the VirtualBox software will ask you a number of questions. 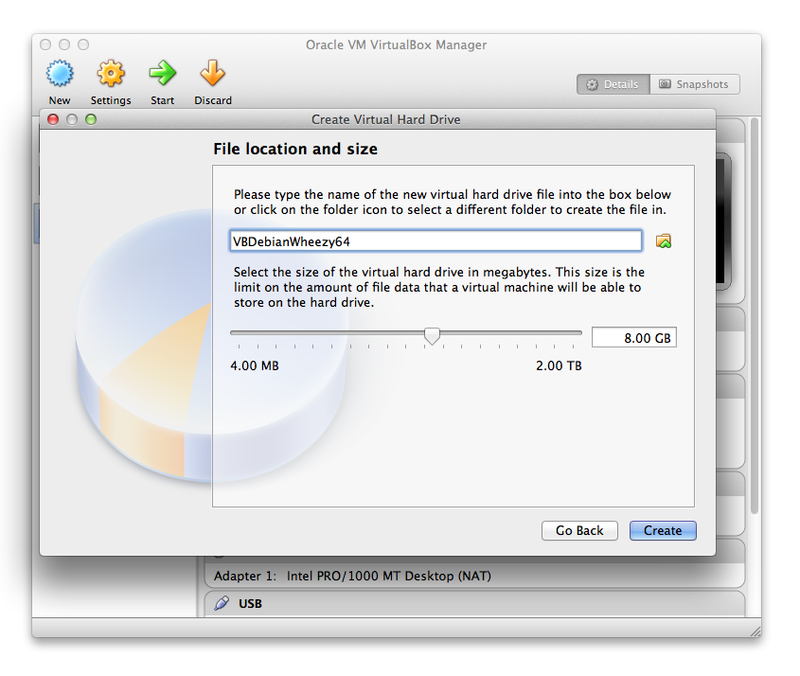 For this installation we can use the default recommendations: a memory size of 384 megabytes of RAM, a virtual hard drive formatted as a VDI (VirtualBox Disk Image), dynamically allocated disk storage, and 8 gigabytes for the virtual machine. 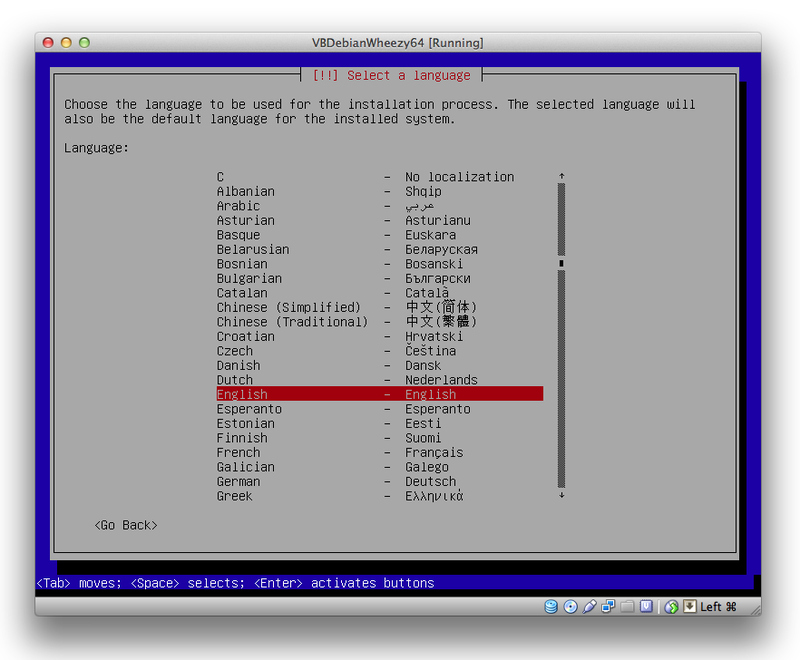 Debian gives you a lot of options for pre-installed bundles of software. 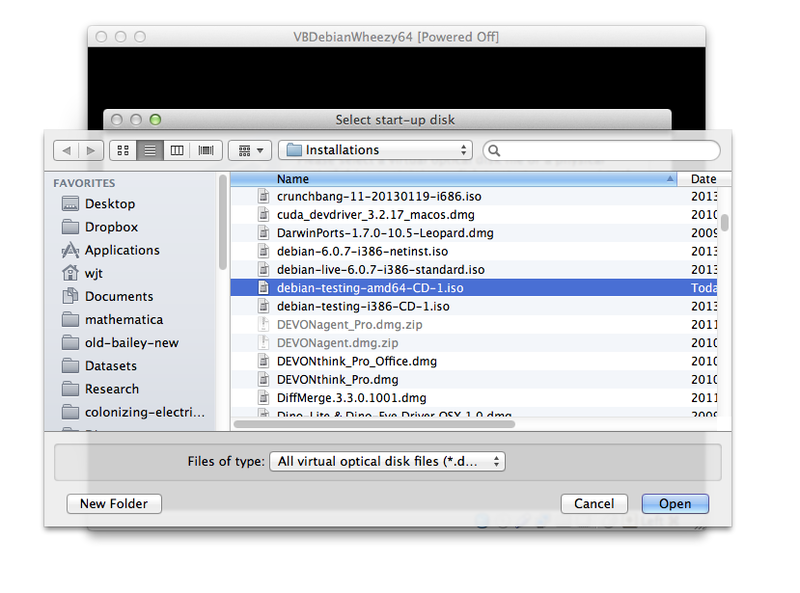 On a desktop, I choose only the “Standard system utilities.” If I am on a laptop, I also include the “Laptop” bundle. 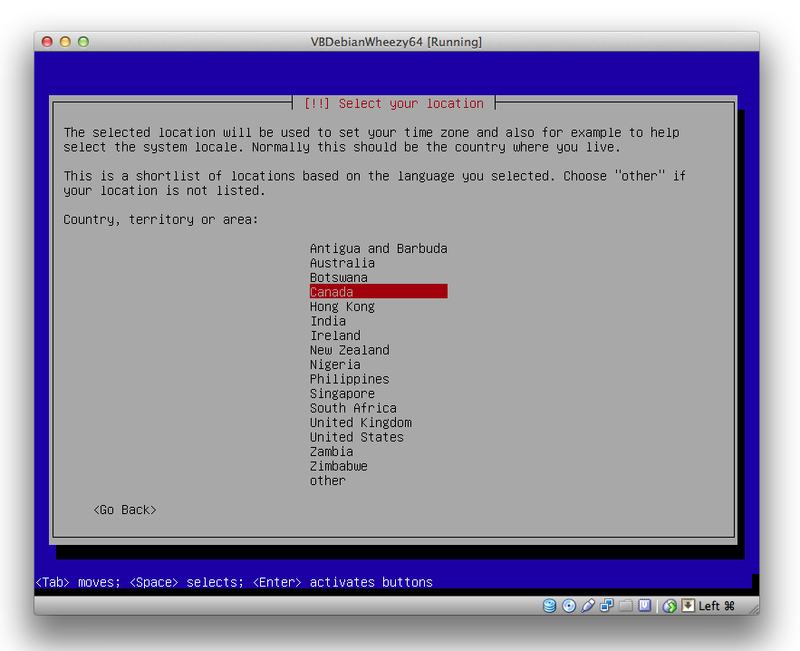 I leave all of the other ones unchecked. (You can always install more software later.) 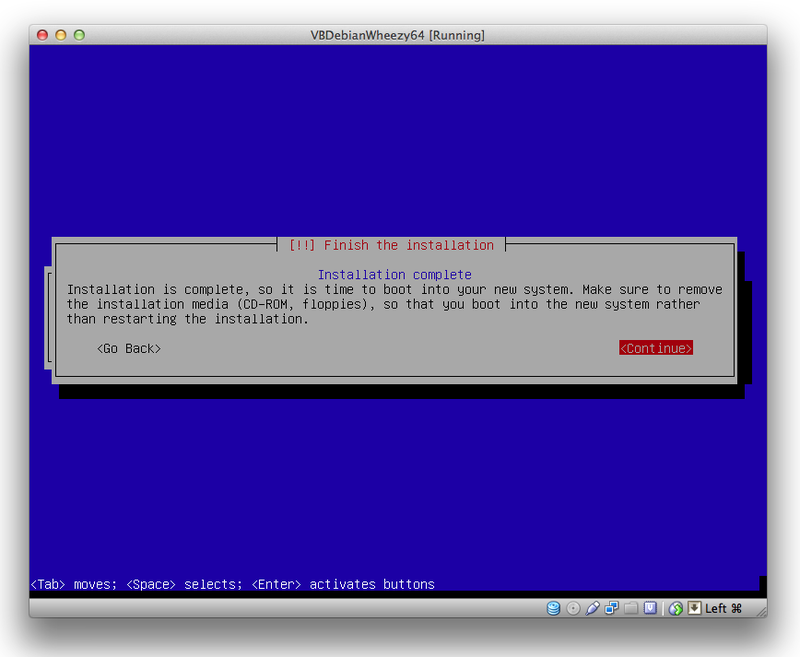 The “Debian desktop environment” is the GUI, which is mouse-and-icon based, like Windows and OS X. I have found it is much easier to get in the habit of using command line tools if you don’t bother with the GUI, at least at first.